Opening times: Check their website for more info. - Muncaster Castle Website - Lake District Historical Houses. Price of Admission: Check their website for more info. - Muncaster Castle Website - Lake District Historical Houses. Notes: Muncaster Castle is a privately owned castle overlooking the Esk river, about a mile east of the west-coastal town of Ravenglass in Cumbria, England. It is recorded in the National Heritage List for England as a designated Grade I listed building. The placename "Muncaster" contains the Latin word castra, meaning "encampment", or "fort". It is suspected that the site of the castle lies on foundations dating to the Roman era, which, if they exist, may represent a castellum for the nearby Roman fort of Glannoventa at Ravenglass. 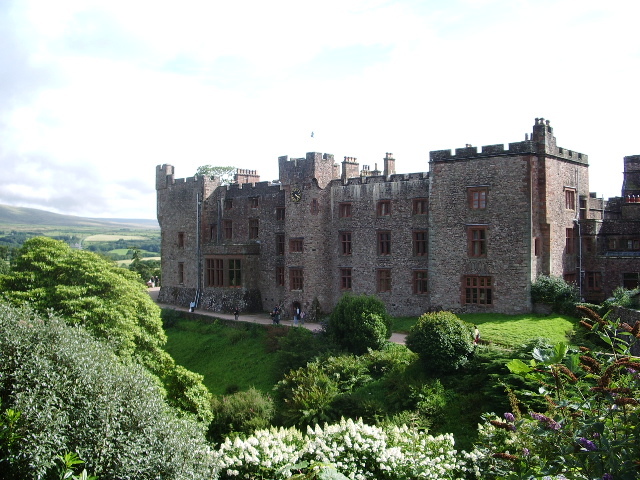 Muncaster Castle is owned by the Pennington family, who have lived at Muncaster for at least 800 years. The Muncaster estate was granted to Alan de Penitone in 1208. The oldest parts of the castle include the Great Hall and the 14th century pele tower, a type of watch-tower fortification unique to the English-Scottish border region. Between 1860 and 1866 Anthony Salvin extensively remodelled Muncaster Castle for the Barons Muncaster. Muncaster has beautiful gardens including features designed to take advantage of views of the Esk Valley and the mountains.There is an owl sanctuary, a maze, and reportedly a resident ghost. "Muncaster Castle (1068780)" National Heritage List for England.